Local Trust - Looking back- to move forward! Looking back- to move forward! Reviewing your Big Local plan is a great opportunity to find out what your partnership has achieved and the impact you have made in your Big Local. It’s also a chance to reflect on what isn’t going as planned and how things can be improved. Barrowcliff Big Local in North Yorkshire recently completed a plan review using the nine Local Trust plan review questions. I caught up with Roy Blenkin (Barrowcliff Big Local chairperson) and Bill Chat (vice-chairperson), to hear about how they used their plan review to learn, bring the community together and promote their Big Local. Why did you do a plan review? We felt we needed to look back at what we had and hadn’t done on our plan. We also wanted to reflect on what we had achieved as residents. 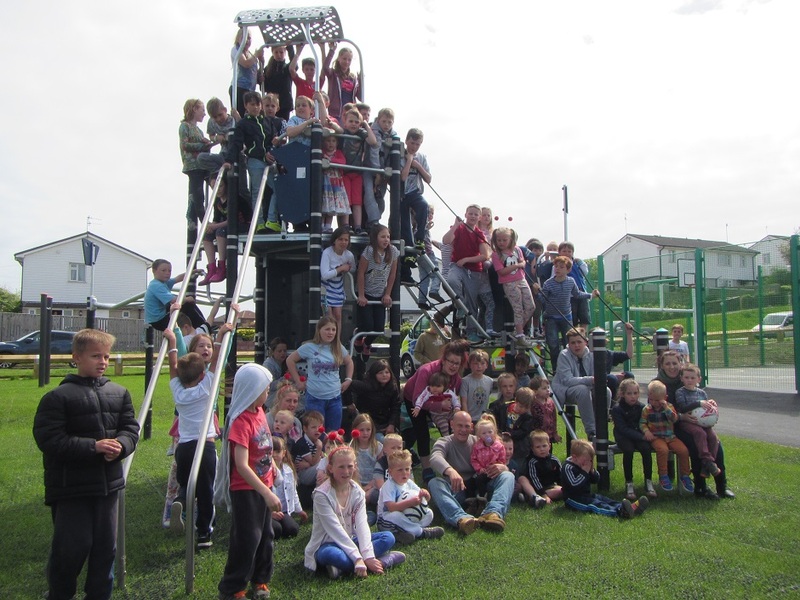 We delivered a play park that was a huge success and also a big learning experience for us. We wanted to make sure we captured this and used what we learned for the future. How did you do your plan review? We originally thought of doing it as part of the AGM but instead we had an open forum at the play park. We hired a local company to provide some really good hamburgers which was a real draw! We invited residents, our Big Local rep, local government representatives, our partners like UnLtd (who provide us with intensive social entrepreneurship support) and beneficiary organisations like the Scarborough and Rydale Community Cycling. In total, 19 different organisations turned up at the event. We got everyone’s feedback and captured it through video and a short residents’ survey. The event allowed us to engage with our community and partners and it was a great networking opportunity for participants. Afterwards, the partnership held a workshop with our Big Local rep, David Burnby, to go through our plan in detail. As well as the survey and feedback from the open forum, we reviewed information we had collected throughout the year including videos, voice recordings and letters from the community. We are part of Our Bigger Story multimedia evaluation of Big Local so we had gathered lots of material through that. Everyone was fair and honest about their feedback and all views were respected. We were very critical of our progress and highlighted things that we thought worked well but also things that didn’t work well. For instance, our small community loans project had no applications. The partnership thought that it was still a good idea so we discussed ways to deliver it better including getting advice from our social investment rep and finding local partners like credit unions to help us deliver this activity. Our rep then went away with all the information and drafted a thorough plan review document. What will you do with your plan review? How will you use it? We will use the plan review as a tool to promote our Big Local. The document is too big to go through doors so we are looking at putting snippets of it on Facebook. We will put it on our website too so the community knows what we have achieved and what we are doing. We will also use it to feed into our next plan. We want to take forward what good practice we have learned and use it for the future delivery of our plan. What advice do you have for other areas about doing their plan reviews? The most important thing for us was to catch and record everything we did. A short video or recording can say more than 1,000 words can. For example, we record and store our partner meetings. We don’t always go back to them but it is a good record of what we’ve done and how we’ve made decisions. Also, you need to be critical about what happened. This means not only discussing what didn’t work but also why it didn’t work. Don’t be afraid to admit there were challenges and use the plan review to come up with solutions for the future. Everybody can make a mistake and that is only human. What did you learn from the plan review? We learned that residents really can lead and get things done. If you give residents control, they can deliver. Remember, Barrowcliff Big Local’s way of doing their plan review and the review document they produced is just an example. Other areas don’t have to do exactly the same thing! Some Big Local areas have done their plan review during one partnership meeting; others have used their Big Local funds to contract someone to conduct the plan review. 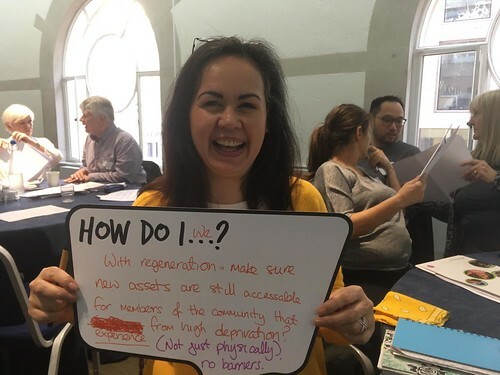 For more information on how, when and why to do a plan review, check out the programme guidance on reviewing your Big Local plan.